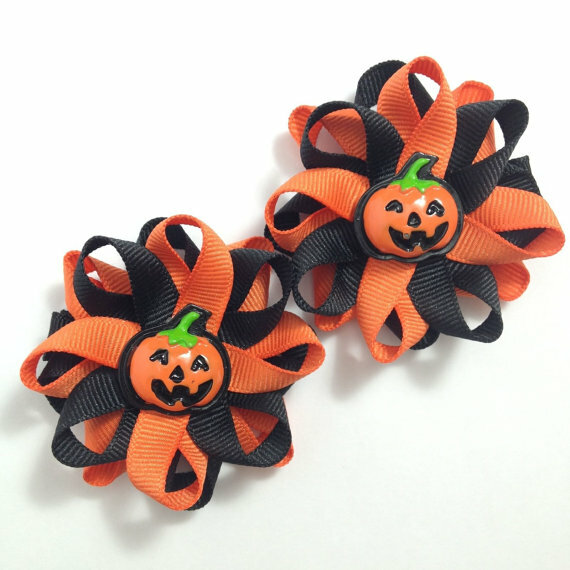 You will receive your choice of handmade flower hair bows. 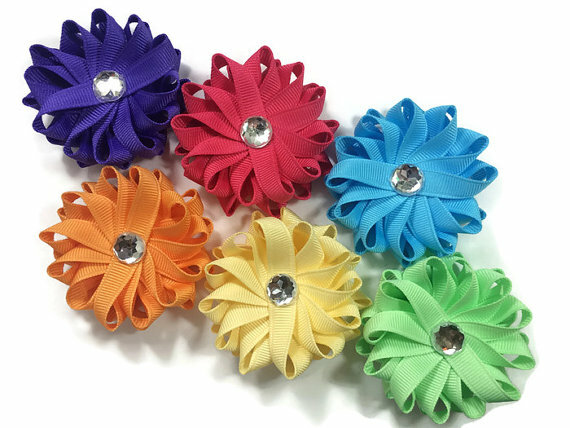 I created these bows with ribbon in your choice of colors with a clear rhinestone center. 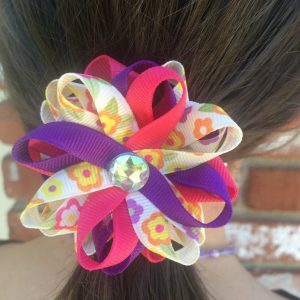 These bows measures approx. 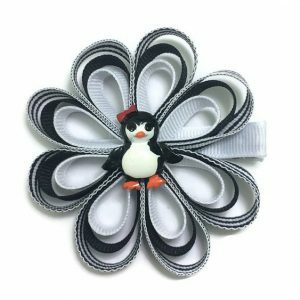 2.5 inches and are attached to lined alligator clips with no slip grip. I heat seal the ribbon ends to prevent them from fraying. 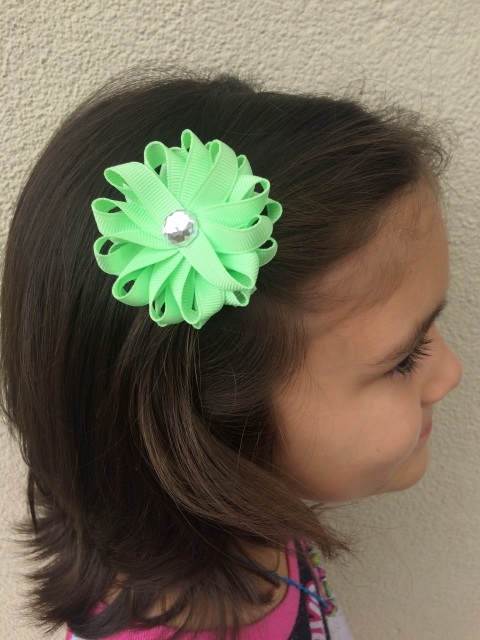 I can make the alligator clip either partially or fully lined, double or single prong with grip added. If you have a preference please include choices during checkout. 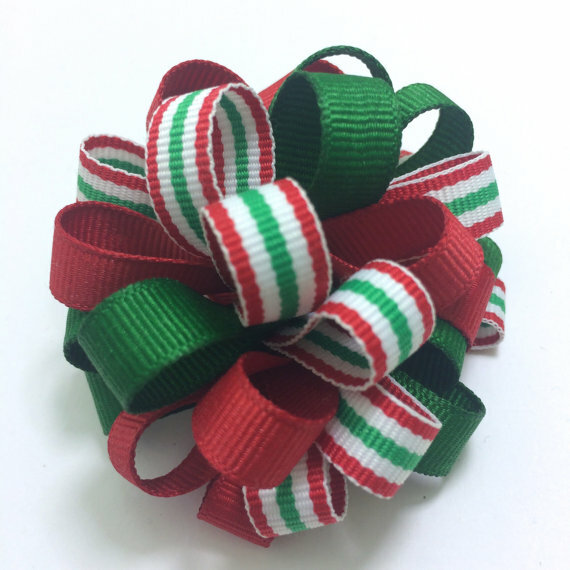 I can make each bow with up to six different colors. Please include color selections with your order or I will not be able to fill the order, color selections must be included.